Citroën has seen some success with its DS cars, announcing the line as a new, premium sub-brand. Now, it looks like French rival Renault could be set to launch its own luxury trim group, with the Clio Initiale Paris as its first entry. With xenon headlights and unique seventeen-inch wheels as the big upgrades to the exterior, Renault also fitted a gloss-black bumper skirt and mirror caps, for a bit more exterior panache. A prominent "Initiale" badge adorns the trunk and side skirts, as well. In the cabin, contrasting, heated, Nappa-leather-adorned seats have been fitted, while faux leather with contrast stitching can be found on the dash and door panels. Piano-black trim is added in sections, while aluminum pedals contribute a bit of extra brightwork to the space. 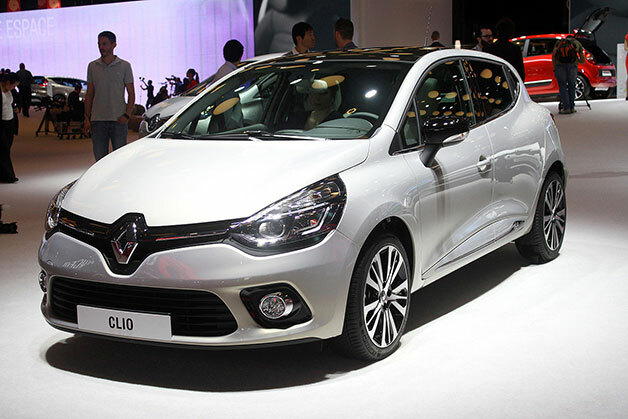 The Clio Initiale Paris will be available with either Renault's 90-horsepower, three-cylinder gas engine or a 90-hp, four-cylinder diesel mill, with prices starting at 21,500 euros (or about $27,000, including VAT).